Minakshi has been studying and practicing bodywork since 1980. She became a certified Watsu® instructor in 1991 and teaches Waterdance and a Shiatsu class (Fire and Water) in the water which is recognized by WABR for the Shiatsu requirements. Since 1991 she has instructed over 540 classes. Working with Harold Dull, Arjana Brunschwiler, Alexander George, Mario Jahara and others well-known in the Worldwide Aquatic Bodywork Association she has instructed classes throughout the USA, Canada, Germany, Greece, Italy, Japan, Korea, Poland and Switzerland. 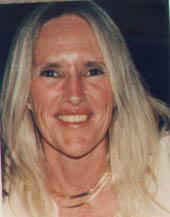 In 1998 she founded the Aquatic Bodywork Island Studio in the Florida Keys. In 2009 she became qualified by Red Cross to teach CPR and First Aid. In addition to her work in the water she has explored Acupressure, Ayurveda, Continuum, Cranio-Sacral Therapy, Feldenkrais®, Hatha Yoga, Hellerwork®, Thai Massage, Polarity and more.